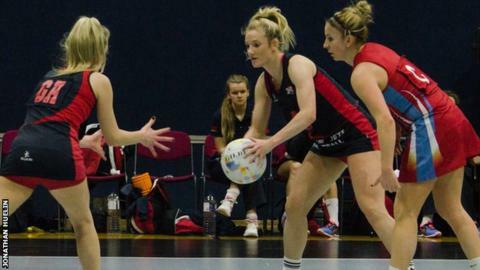 Team Jets' hopes of reaching the Premier League Two play-offs were ended as they lost 60-40 at Telstars. Linda Andrews' team needed to win both of their remaining games to have any chance of finishing in the top three. The teams drew 43-all earlier in the season, but defeat in Kent meant Team Jets slipped to fifth in the table, with Telstars moving above them. The Channel Islanders' final game of the season is at Fort Regent against Premier Romans next weekend.